NATS is saddened to announce the death of Vice President for Workshops Kathleen Arecchi on February 5, 2016, at the Dartmouth Hitchcock Medical Center after living with breast cancer for 10 years. She was 72 years old. A NATS member since 1978, she was a founding member and first President of the Granite State Chapter of NATS (New Hampshire). She also served as the NH District Governor, the New England Regional Governor (2006-2010), and was at the time of her death completing her second term as the NATS Vice-President for Workshops. "Kathleen was a tireless advocate for NATS and its mission. The recent success of our workshops was due to Kathleen's creativity and diligence in finding just the right individuals and package their topics into a coherent theme that met the needs of our members," says NATS executive director Allen Henderson. "In my work with her, I was always inspired by her intuition about an idea we would discuss or a new direction we might take a workshop topic. She always kept her ear to the ground about what topics were needed or desired by our our members in a workshop. Her thoughtful and meaningful contributions to many discussions in board meetings always yielded better decisions for NATS no matter what the topic." Born in Hartford, Connecticut, Arecchi attended Hartford public schools and graduated from St. Joseph College. She was also an alumna of the Eastman School of Music and of the University of Maryland. 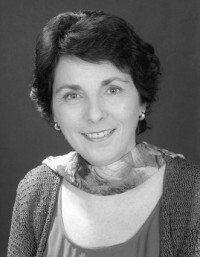 For the last 35 years, Arecchi has been on the faculty of Plymouth State University, teaching voice in the Department of Music, Theatre, and Dance. While she was active as a soprano soloist, Kathleen performed in numerous musical theatre, operetta, oratorio, and opera productions in California, Connecticut, Massachusetts, Maryland, New Hampshire and New York. At Plymouth State, she served three years as the Associate Dean for Academic Affairs and another three years as the Director of the Silver Cultural Arts Center. She also served as either music director or stage director for many productions in the Department of Music, Theatre, and Dance, among them: Iolanthe, City of Angels, Carousel, Trouble in Tahiti, Into the Woods, Sweeney Todd, A Little Night Music, Sinners, Saints and Sirens, The Drowsy Chaperone, and Les Misérables. From 2001 to 2003, she was a member of the voice faculty at Opera Festival di Roma, where she also staged a program of American musical theatre for Italian audiences. Experienced in teaching both classical and musical theatre singing techniques and repertory, Arecchi has been a casting consultant for the Papermill Theatre in New Hampshire for more than 20 years. She received the Plymouth State University Distinguished Teacher Award for 2012. She loved working with, teaching, and guiding young people. Her students have received awards in singing competitions, both classical and musical theatre, and have been accepted into prestigious graduate music programs. Many are enjoying success as professional singers in regional companies, on national tours, in New York, and on major cruise lines. She was the daughter of Michael Hickey and Catherine Conroy Hickey. She is survived by her husband of 47 years, Angelo; her daughter, Kate Arecchi of Harrisonburg, Virginia; her brothers, Michael Hickey of East Falmouth, Massachusetts, and Peter Hickey of Glastonbury, Connecticut; and numerous nieces and nephews. Visiting hours are 5:00 to 7:00 p.m. on Tuesday, February 9, at the Mayhew Funeral Home, 12 Langdon Street, Plymouth, New Hampshire. A funeral Mass will be held at St. Matthews Church, 11 School Street, Plymouth, New Hampshire at 10:00 a.m. on Wednesday, February 10. In lieu of flowers, the family requests that donations may be made to the Kathleen Arecchi Memorial Scholarship at Plymouth State University, University Advancement, 17 High Street, MSC 02, Plymouth, New Hampshire 03264 in care of Vice President Paula Lee Hobson.